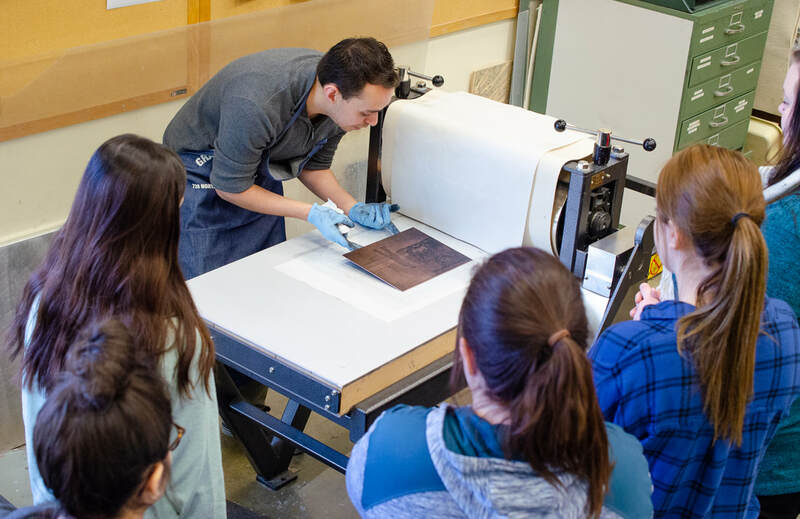 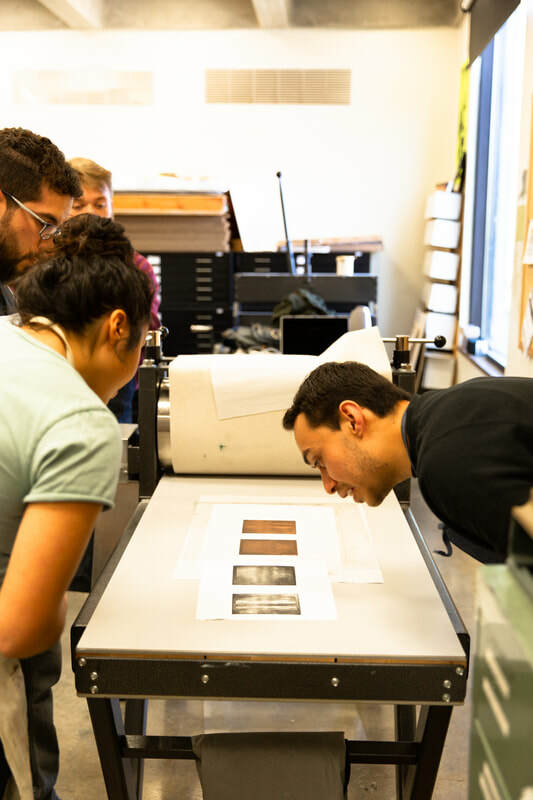 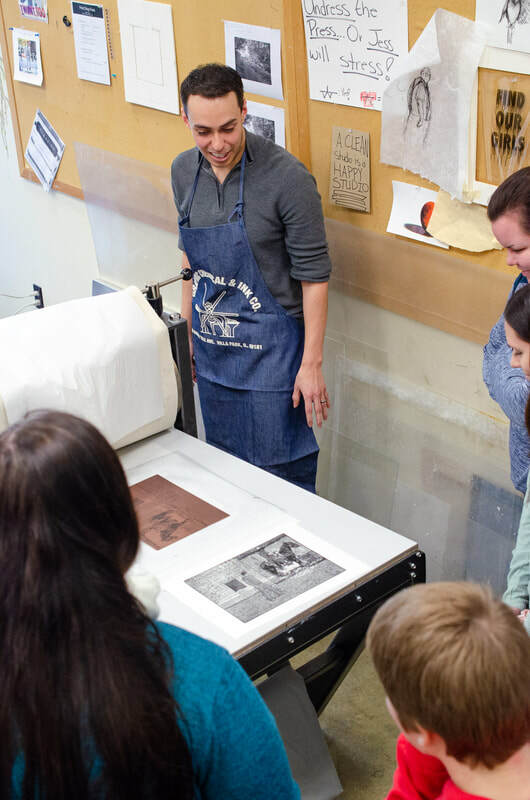 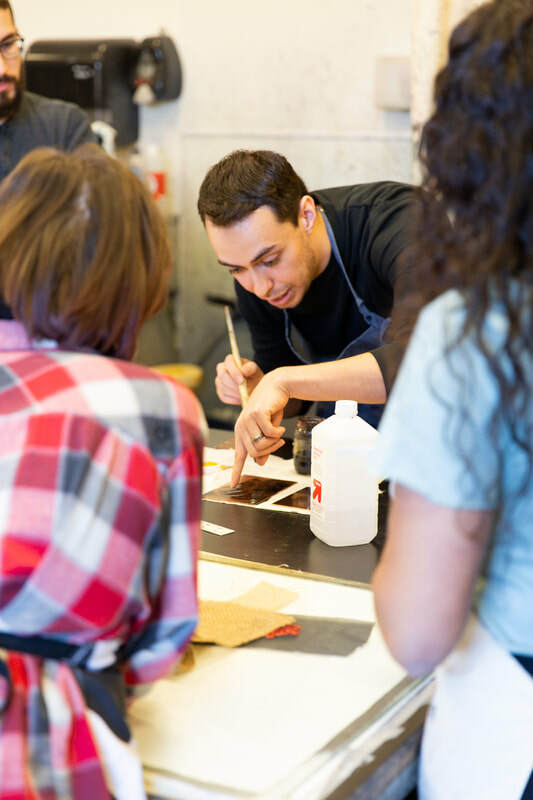 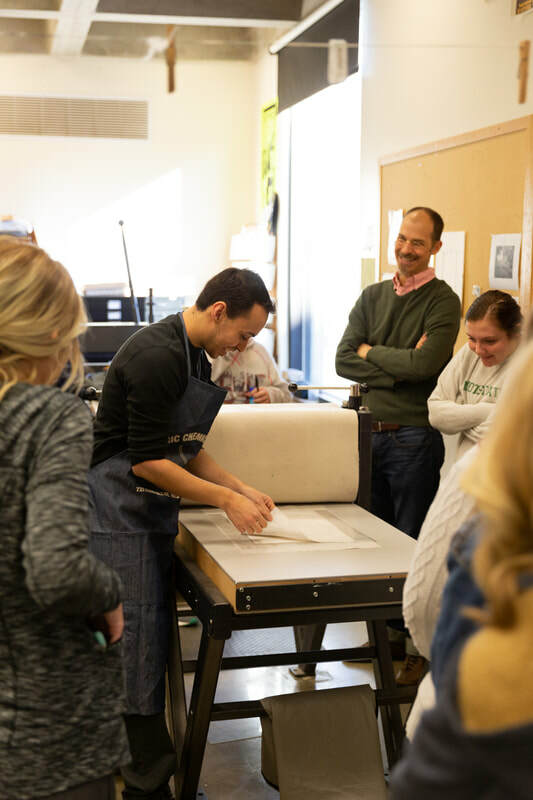 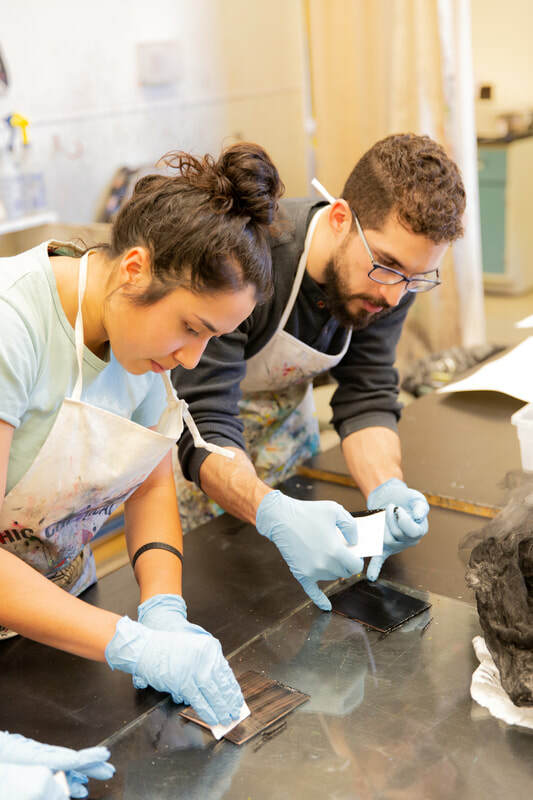 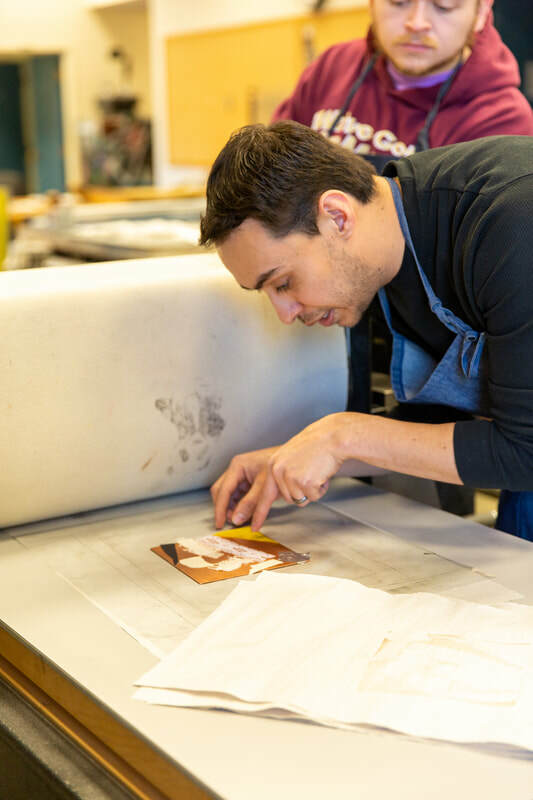 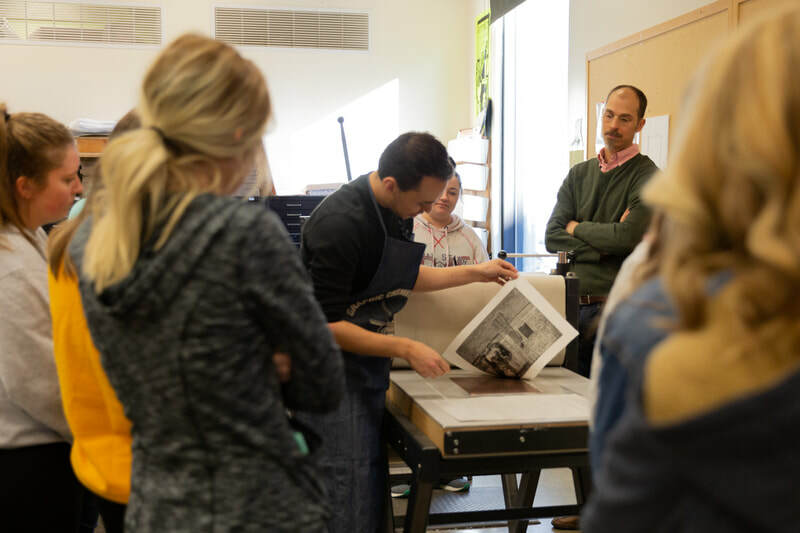 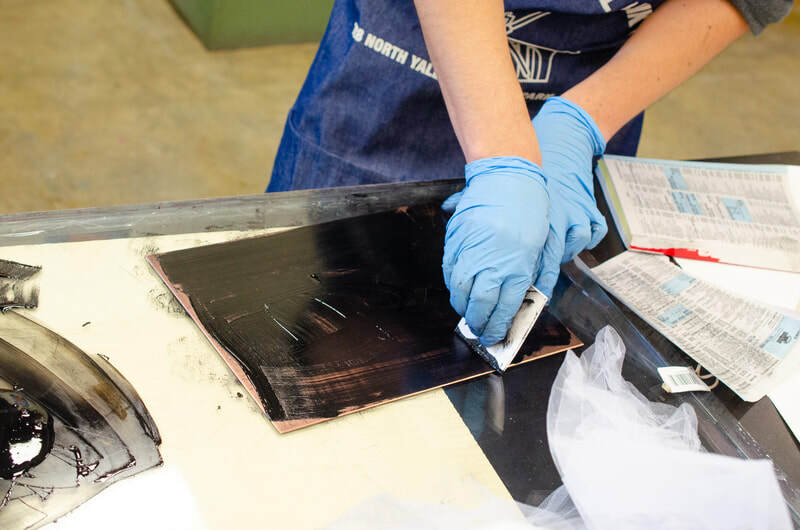 Marco Hernandez came to Flat Tail through a joint effort with the Northwest Arts Center where he served as juror for the 2019 Paperworks Exhibit. 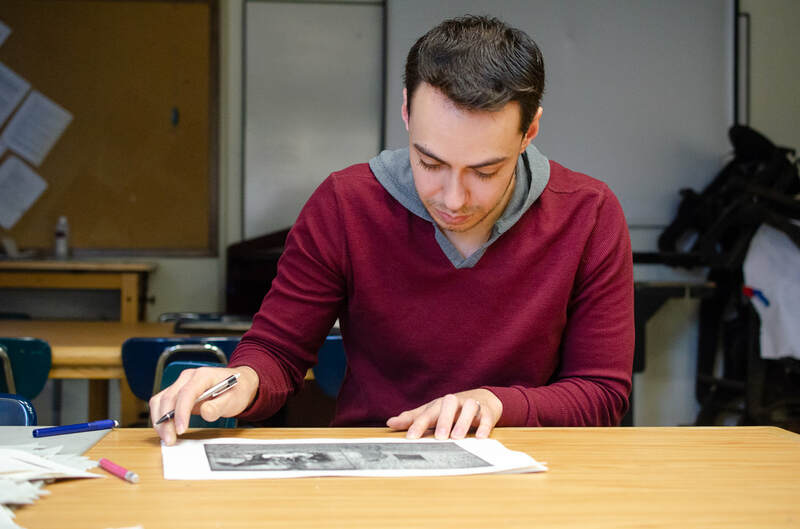 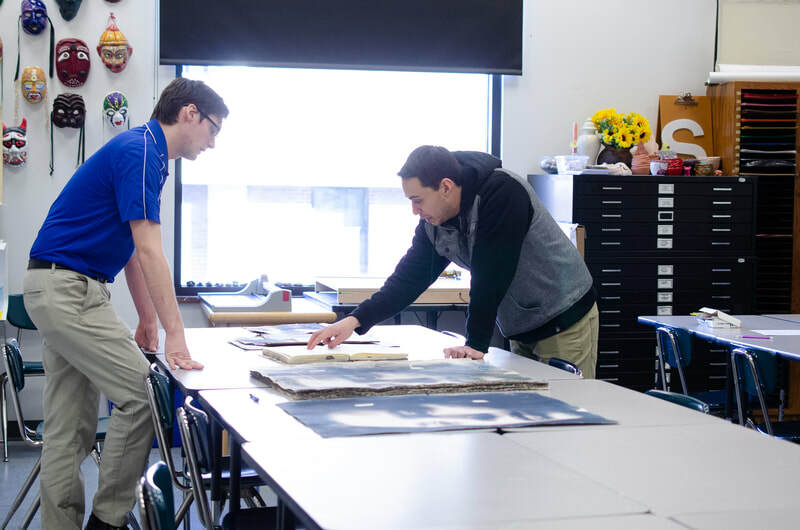 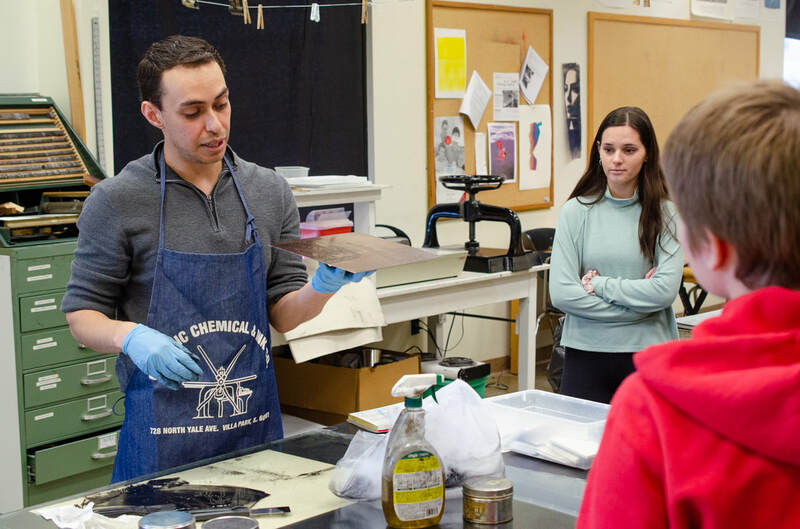 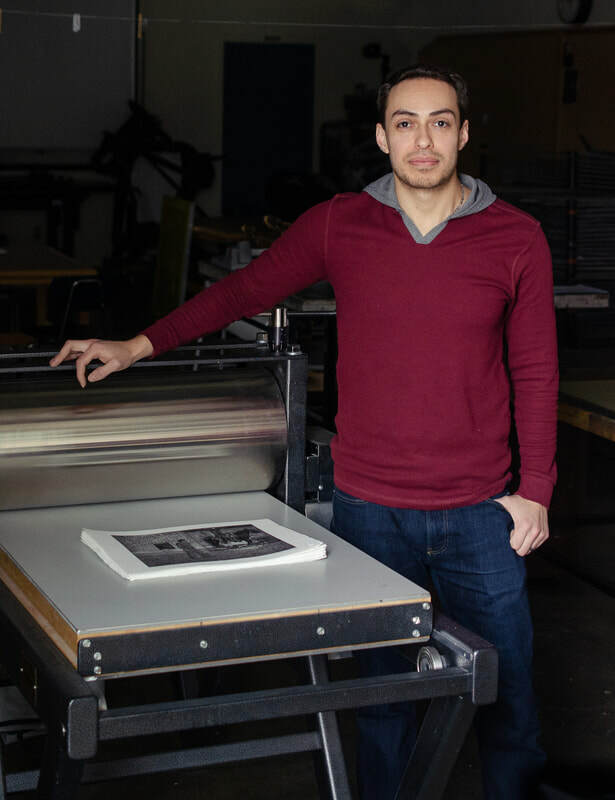 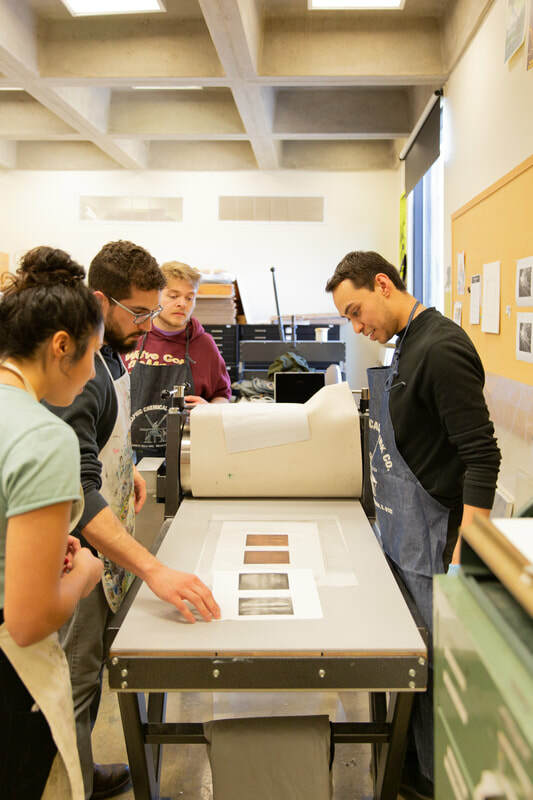 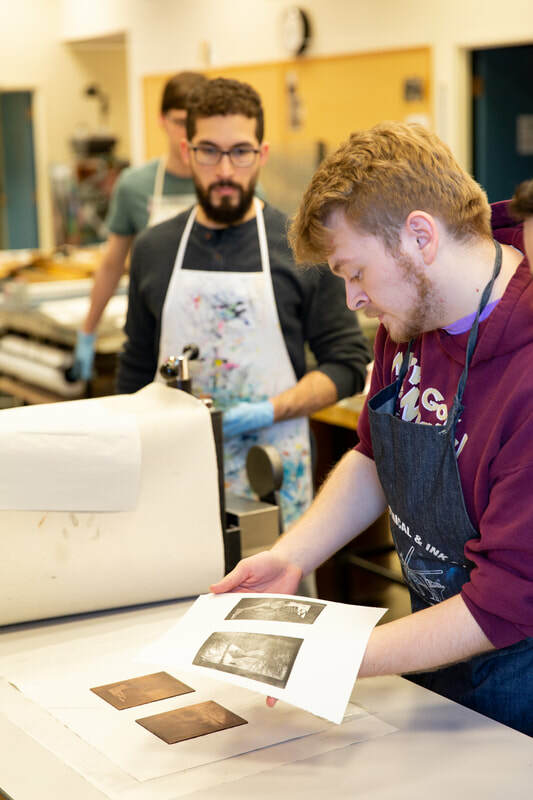 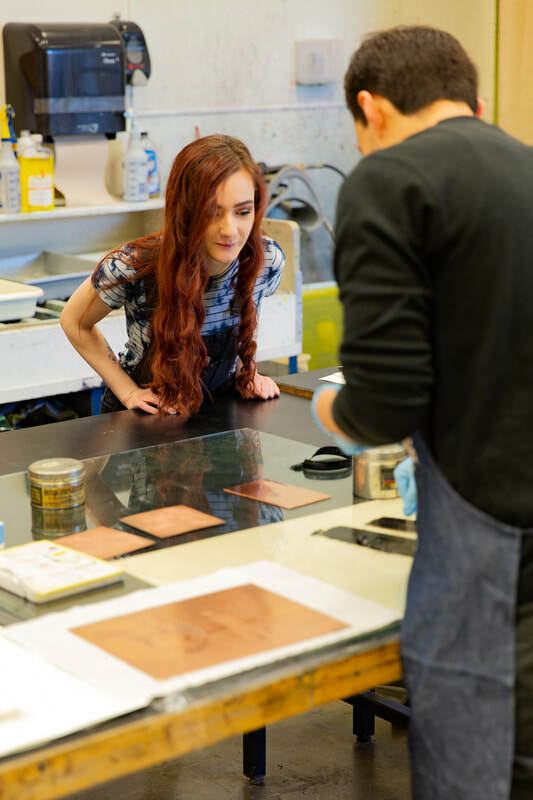 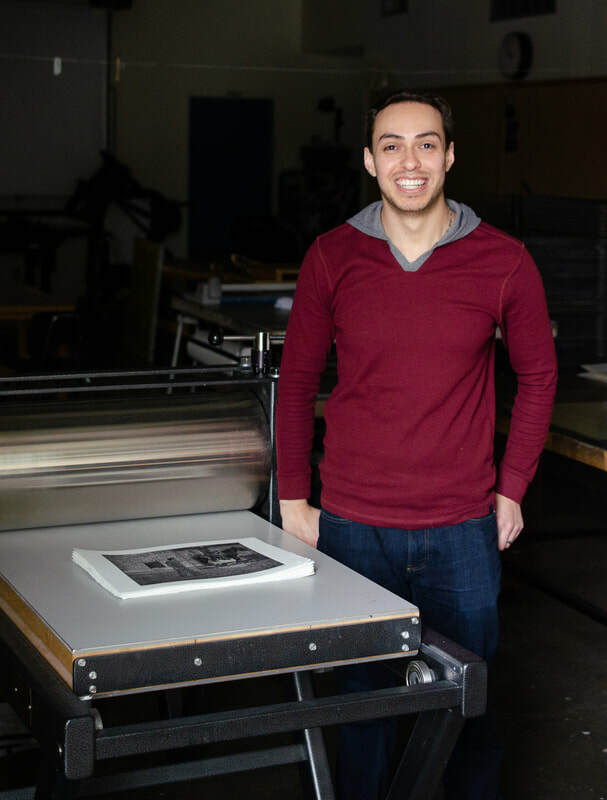 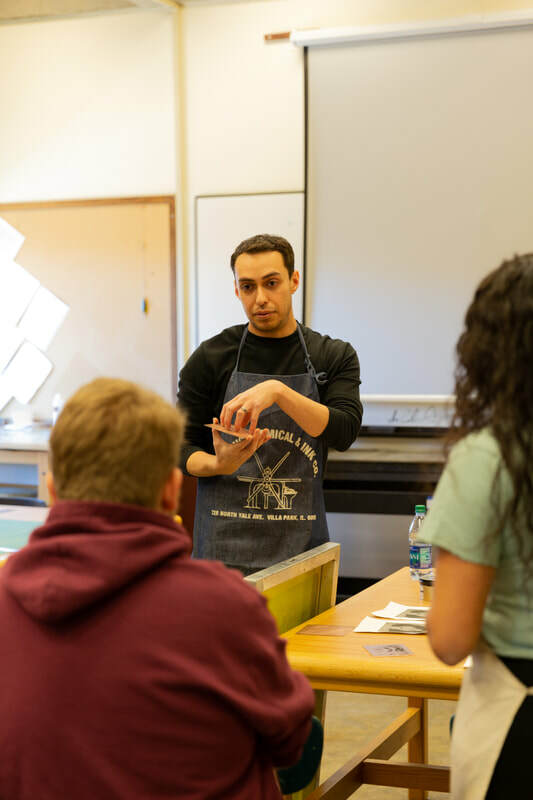 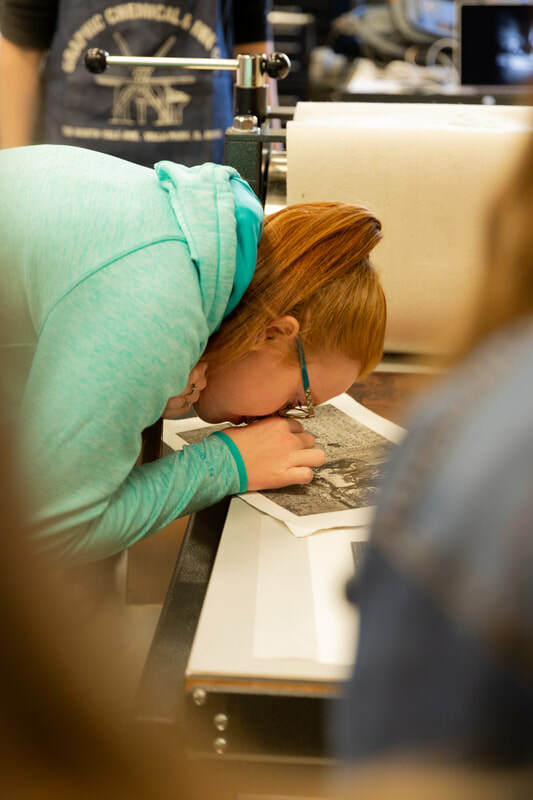 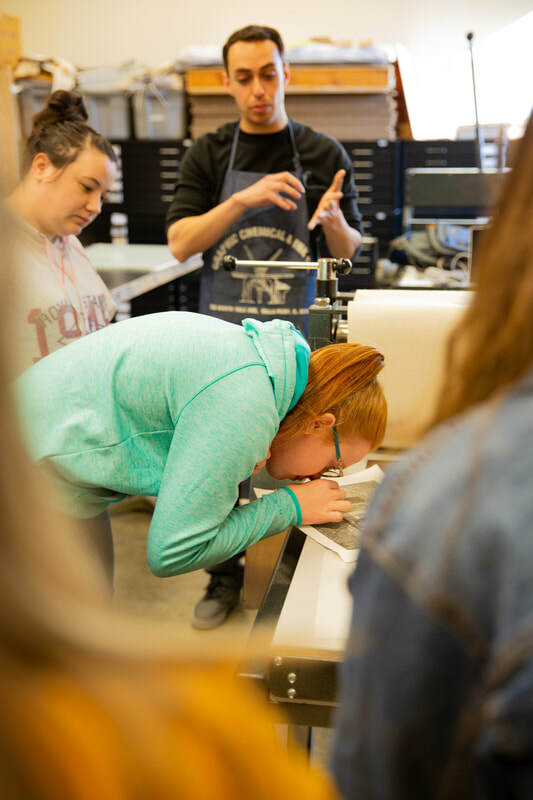 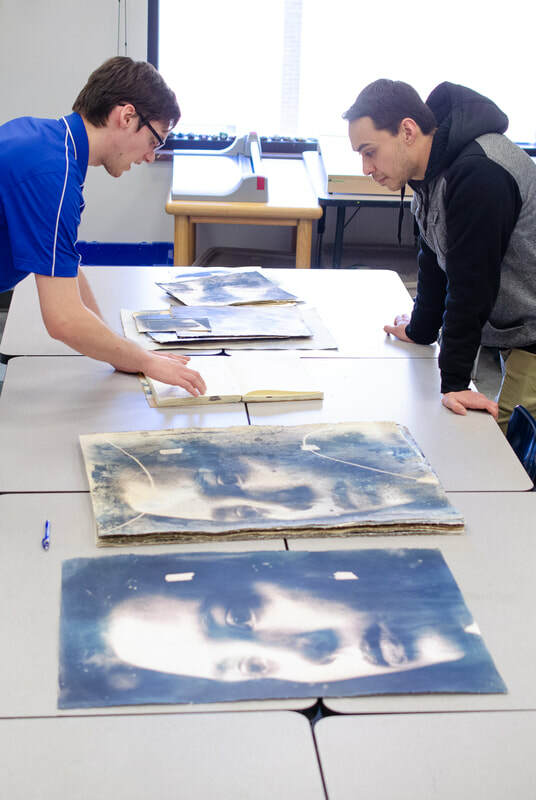 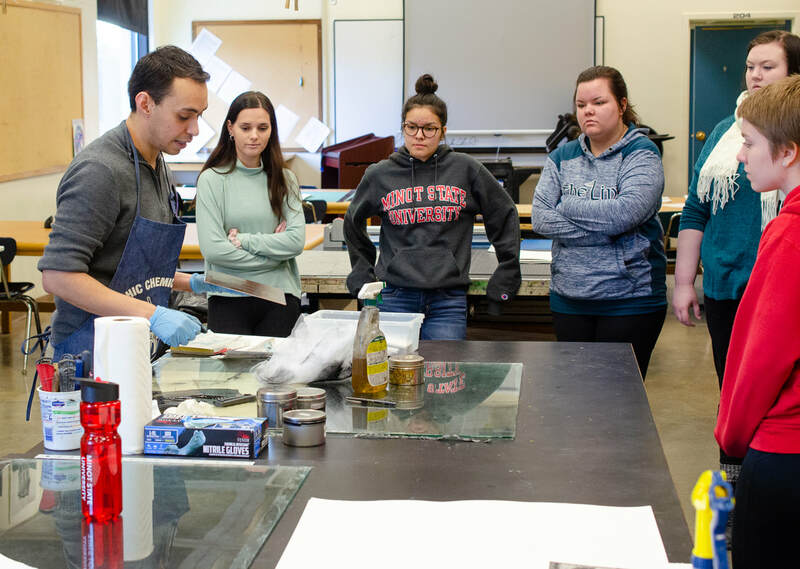 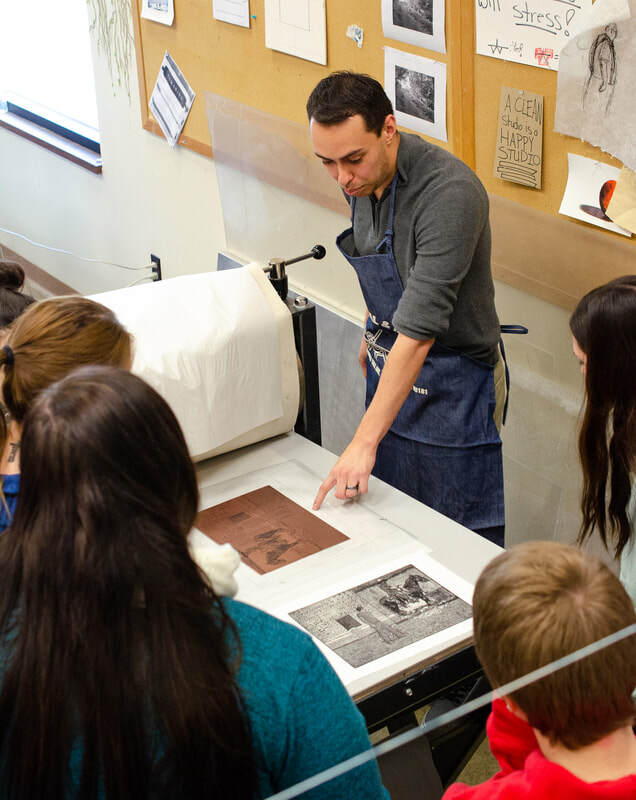 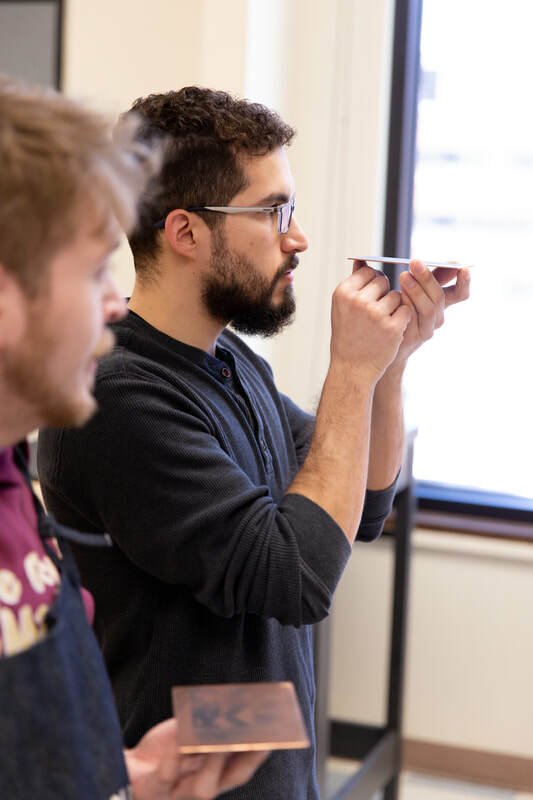 Hernandez’ work is well known to the MSU community after winning the Best of Show in the 2017 Paperworks exhibit and his subsequent solo show in 2018. 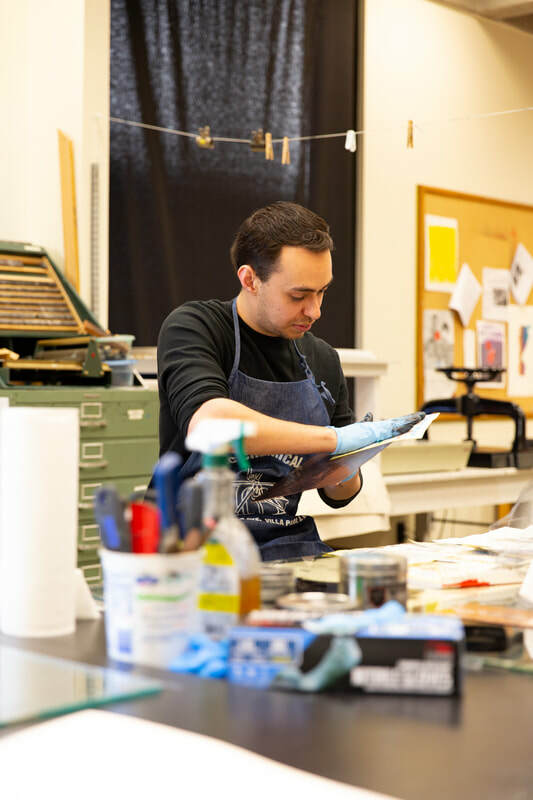 Marco is well-known for is beautiful etchings that reflect his heritage by blending imagery from personal experiences, as well as Mexican and American symbols. 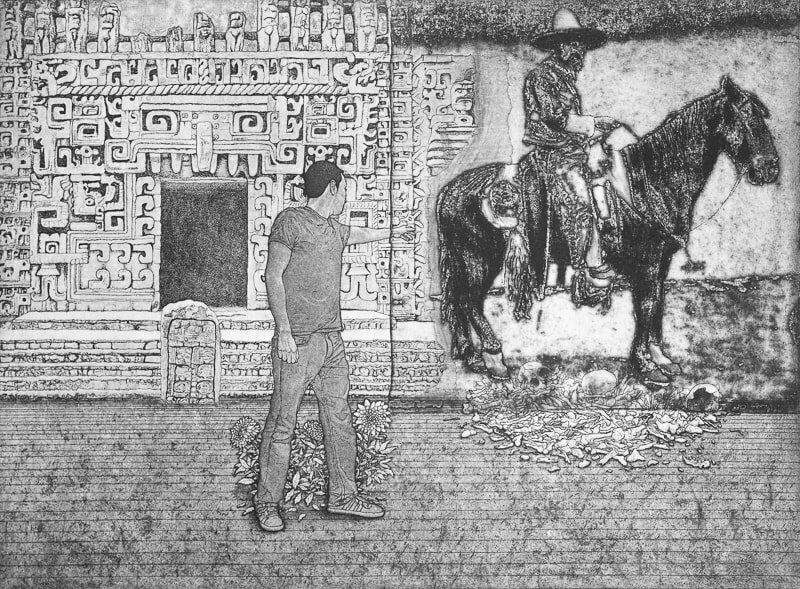 During his time with FTP, Marco printed an etching titled, “Demonio en el Posado” that stems from a dream about an image he had seen of a mounted soldier from the Mexican revolution. 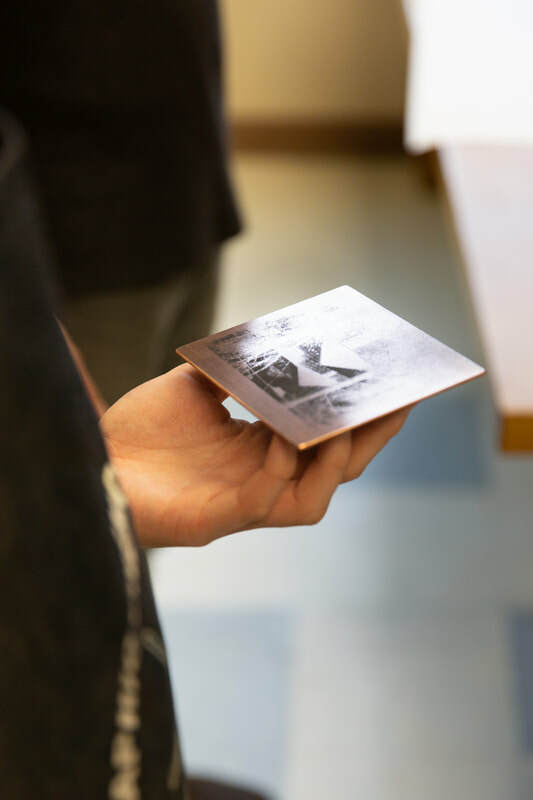 In the print, the figure reaches back toward the shadowy mounted figure, through one reality into another. 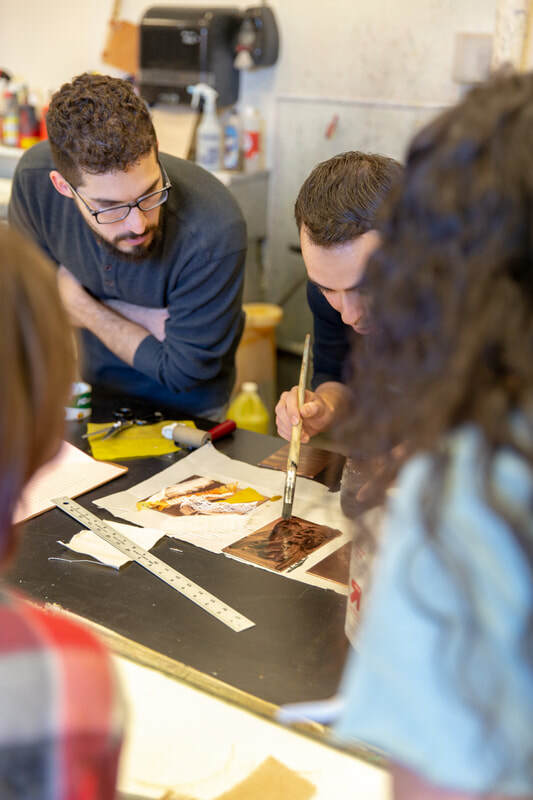 View more of Marco's work here.